The difference between people who are successful in learning languages and people who are not is people either give up or keep going, this is a big part especially if your thoughts are; how long will it take, how much of my time do I need to give, these types of thoughts need to be pushed away and stick by your positive behaviours. The whole point of learning a language is to speak fluently of course, but the journey to get there is almost like a marathon so the tough work will pay off but you will need to keep going. You will not get the benefits of speaking Arabic or any language without study and practice, with learning you need motivation and see progression to want to keep going. 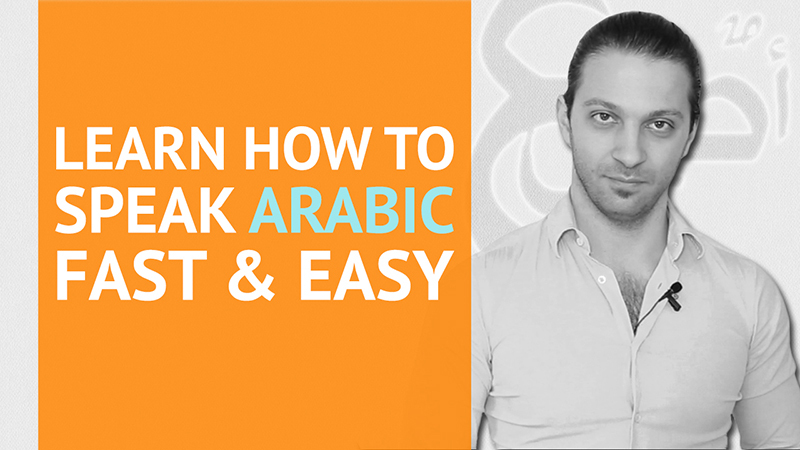 These simple tips to start learning will help you to learn spoken Arabic and actually achieve your ultimate goal. Your ultimate goal can consist of small goals before you get to where you want to be. These small goals are to show you how you can always get better and better if you are consistent. Usually, there tends to be more motivation, in the beginning, then it begins to lessen during your studies especially when the levels get more difficult, for example, you learn basic grammar and vocabulary, and it seems simple, you see a progression and this in return gives you motivation. But you must move on to the next level, this creates a new unfamiliar area, that can make it difficult and you might feel stuck, unless you practice the tips above and stick to it. Keeping it fun and mixing up your studies can also be helpful, in this case, you are consistent but not bored. You must try and study a minimum of 10 minutes a day, but this mixed in with reading about the culture, watching tv shows or movies in that language can motivate and make it fun for you. With the Nassra Arabic Method there a plenty of fun ways like flash cards, quizzes, subtitled tv show etc. So every level is planned out in a pleasant easy to follow method. The only thing that you will need is to push past each level, and do not be afraid to make mistakes on the path to your ultimate goal.